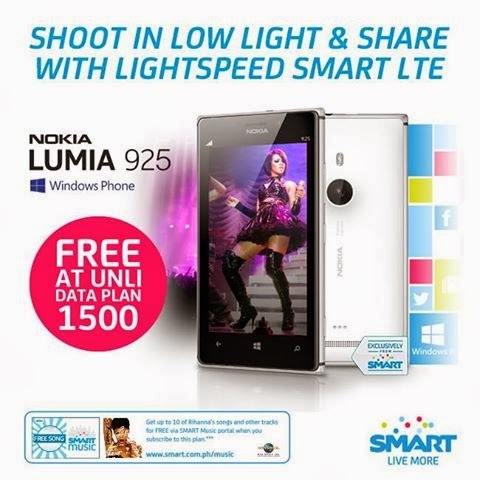 Smart now offers one of the latest Windows Phone from Nokia, the Lumia 925 is now available on Smart Postpaid. Get it free for 1500 pesos per month with no additional charges and enjoy unlimited internet connection plus call and text service from Smart. You can also enjoy Smart’s fastest internet connection for this handset as it capable of capturing LTE network signal. This handset is also available on other Smart plans, for denominations you can check below. To apply for this plan you can visit your nearest Smart store to inquire about the appications requirements and other details.